I adjusted My Fitness Pal settings today to include sugar and salt so I can track them too. I don’t think I eat too much salt but it is good to check. I definitely eat too much sugar so I am looking forward to tracking that. 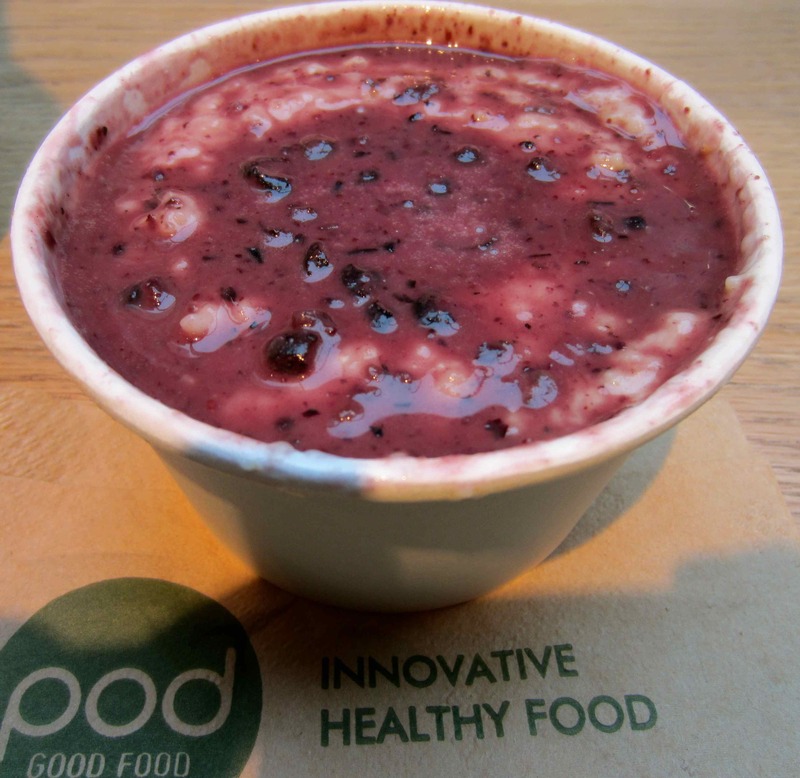 In to pod again for breakfast and today I chose a small pot of porridge with blueberry curd and pistachios. It was really enjoyable. I walked round to the Whitecross Street market today and bought a pulled pork burrito. These burritos are so delicious I could eat them every week. 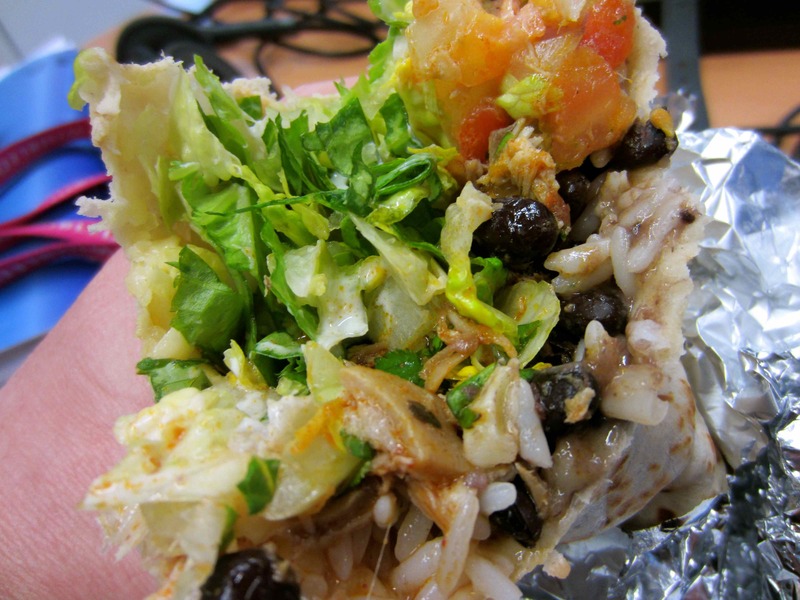 This one had pork, rice, black beans, tomatoes, lettuce, sour cream and a mild chilli sauce. Meals like these are hard to estimate but I looked through MFP and chose the closest burrito that matched. I worked late tonight and didn’t get home until 9pm so supper was very simple. 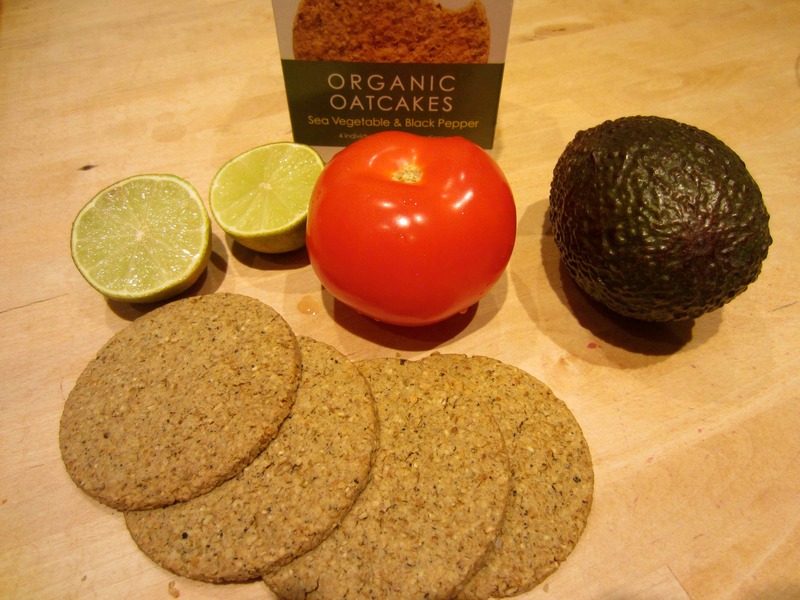 The last packet of oatcakes in the box, 1 large tomato, 1 avocado and a lime. So I made a very basic guacamole with chopped tomatoes. It was simple but nutritious and tasty enough. My daily totals are looking really good :-). I ended the day under my limits for calories, carbs, protein, sugar and sodium. I was only over on fat but as the fat that took me over was health oils in the avocado, I am not concerned about that. I am particularly pleased about my sugar totals. I can do this! 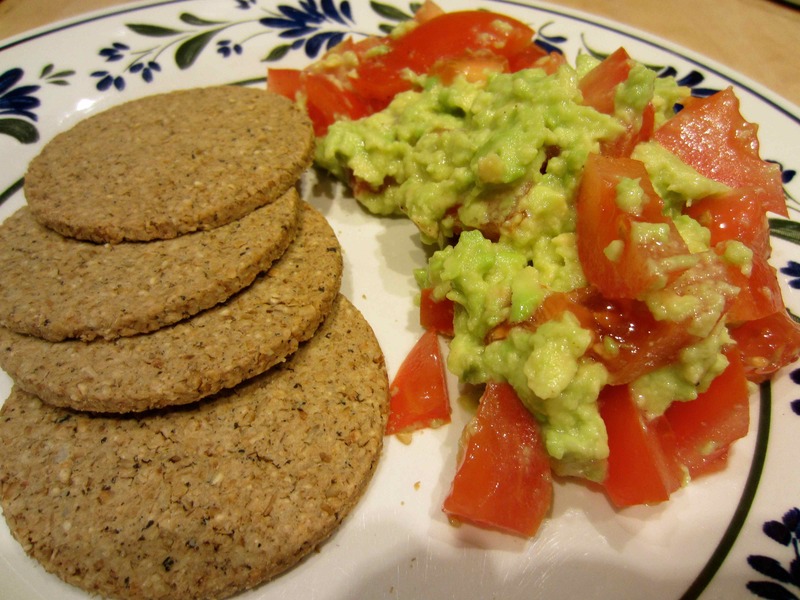 This entry was posted in Uncategorized and tagged Avocado, Oats. Bookmark the permalink. I didn’t get a friend request – was that on Facebook?